Perhaps the most unique lighting design ever. Open the book, it turns on. When you close the book, it turns off. Decorative AND functional! Inspire the love of reading in children. Can be used as table lamp, floor lamp, pendent lamp and wall lamp, etc. 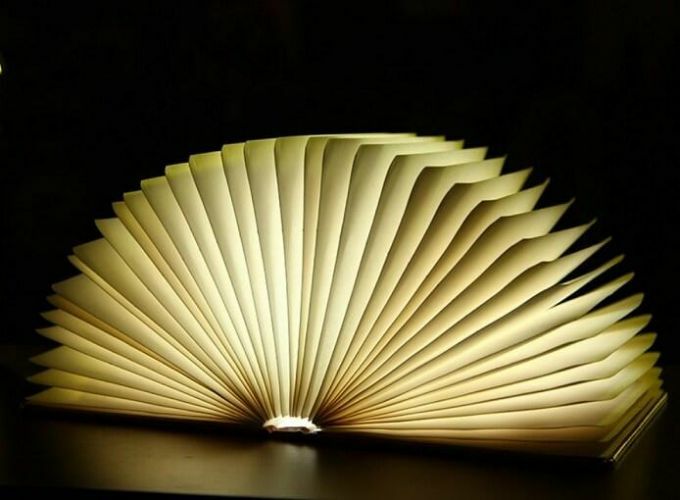 Open the book as little or as much as you like to the shape to create a comfortable space. Charge: by 5V micro USB. Usage Time: up to 6 Hours. Materials: waterproof kraft paper and leather.